Just a couple of months ago, The Root posted a video series focused on adoption, and spoke with several people who were adopted as babies. Some of the stories were not only tear-jerking but also a reminder about how there are so many children in the world who need homes. Among adoptees, there are some who choose not to seek out their biological family, but then there are those who spend years trying to fill in the missing pieces to their puzzle—and one man in the Bronx, N.Y., is attempting to do just that. Jordan Christopher posted a Facebook video Sunday night asking for help finding his biological parents. In the video, Christopher tells how he was told by his adoptive mother that he was left in a church, but he then read a police report from 1971 that shed light on what actually happened. 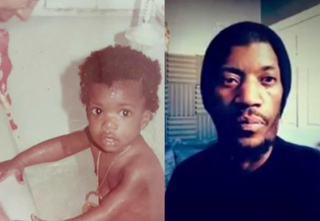 According to the report, Christopher was found abandoned in a housing project in the Bronx, and although no one knows his exact date of birth, authorities estimated he was about 5 months old. Christopher says that he wants to locate anyone from his biological family and hopes the Facebook video will help. Christopher, who has children of his own, says that he has only celebrated one birthday in his 40-something years of life, and he just wants to know where he came from and who his people are.